Car Pretty LLC - Exterior - Metal Polishes, UV Wash, Fabric, Silo Seal, Bug,Tar, Glue and Degreaser. 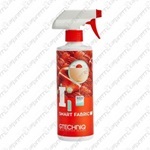 Exterior - Metal Polishes, UV Wash, Fabric, Silo Seal, Bug,Tar, Glue and Degreaser. This is targeted towards marine applications as the product contains an effective UV absorption filter. A byproduct of that ingredient is that it creates a strong positive charge on your vehicle's surface which repels dust (anti-static). 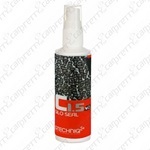 Crystal Lacquer chemically bonds to become the new surface layer of your car, boat, or plane giving unrivaled UV resistance, dirt repellent, easy clean and swirl resistance. 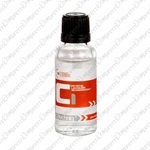 G-Wash has been specifically formulated to work in harmony with many of our detailing products. 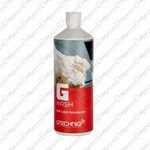 G-Wash produces a high foam content which both breaks the bond between the dirt particles and your vehicle’s paintwork and lubricates particles thereby enabling the safest possible removal of traffic film. Liquid Crystal is the revolutionary way to make your car, boat, plane or RV shine and stay clean longer. 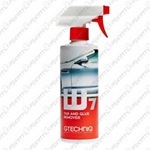 Panel Wipe is designed to remove all polish residues so that ultra durable chemically bonding coatings, such as Crystal Lacquer and Ultra Durable Hybrid Coating, can form the maximum amount of bonds with your vehicle’s paintwork. Wine, coffee, you name it, simply rolls off the surface and can be wiped away with a damp cloth with zero staining. Smart Fabric coats each fiber individually which means the texture of the fabric remains unaffected and allowing fabric to “breathe”. 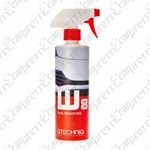 Works well on convertible roofs with great durability. Wine, coffee, you name it, simply rolls off the surface and can be wiped away with a damp cloth with zero staining. Smart Fabric coats each fiber individually which means the texture of the fabric remains unaffected and allows fabric to “breathe”. 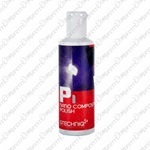 Works well on convertible roofs with great durability. With added BioCote anti microbial technology, treated surfaces will kill 99.9% of bacteria. Remove tar and glue with ease! The Ultra Durable Hybrid Coating offers sensational surface functionality and protection and an exceptionally easy application process.